Minnesota authorities are still investigating the apparent hunting-related death of Jay Clayton Nelson, former police chief in Lake Park, Minn., who was found dead Saturday near Little Flat Lake on the White Earth Reservation in Becker County, Minn.
Police had responded to a call reporting a deceased male in a vehicle on a logging trail 1/2 mile east of Yellowhead Trail around 6:09 p.m. on Saturday. That person was identified as Nelson, 53, in a vehicle on a logging trail approximately a half-mile west of Little Flat Lake, which is an hour or so east from Fargo. 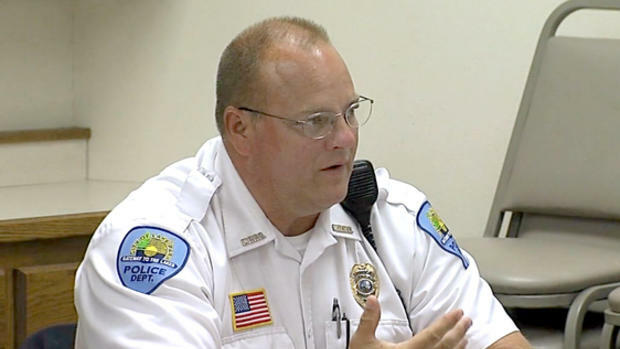 Nelson retired as police chief 3 years ago. Becker County Sheriff Todd Glander stated that the preliminary autopsy report revealed Nelson died as the result of a gunshot wound and the sheriff’s office repeated that the incident appears to have been an accident. Authorities are asking for the public’s assistance in an investigation. Anyone who may have information regarding vehicles or persons that may have been in the area on Nov. 10 is requested to contact the Becker County sheriff’s office at (218) 847-2661.